Kochi or Cochin is a port city with a rich past and a bustling present. It has been the business hub of the region from the very early days. 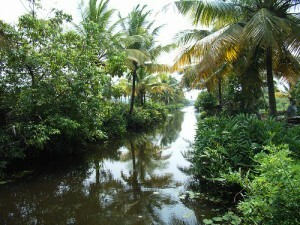 The Chinese, Jews, Arabs and Europeans came here to trade and their influence on Kochi and its people is still evident. Old tiled houses built in the Chinese pagoda style, the famous Chinese fishing nets, colonial buildings, synagogues and mosques all the fascinating story of this harbor town. Kochi is an attractive city and the serene back-waters, golden sunsets, lagoons overhung with feathery coconut palms, pic turesque islands-Vypeen, Willingdon, Ramanthuruth, Vallarpadam and Bolghatty – all contribute to its beautiful cityscape. The interesting Jewish synagogue – the oldest in India, the Mattancherry Palace of the former maharajas, also known as the Dutch Palace, old British churches, the Bolghatty Palace, once the mansion of the British Resident and now a hotel, are all worth seeing and make a visit to Kochi unique experience. Close to Kochi (145 km) are the Munnar hills, covered in the velvety mosaic of the tea gardens. Munnar is a marvelous retreat into nature with scenic views, gurgling streams and placid lakes, where the silence is broken only by the sound of the birds. Athirapally: This waterfall is situated 8 km from Kochi only hours journey from there. This 80 feet waterfall is a popular picnic spot. Guruvayur: Guruvayur is one of the most important pilgrimage centers in India and is sometimes referred to as the Dwaraka of the south. 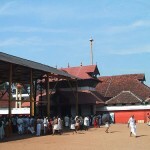 In the ‘Chuttambalam’ or outer enclosure of the temple, is the tall 33.5 m high, gold-plated ‘Dhwajastambham’ or flag-mast. The 7 m high ‘Dipastambham’ or pillar of lamps, is a splendid spectacle when lit in the evenings. The entrance to the inner sanctum lies just beyond this. Within are ten finely carved pillars on two raised platforms one on either side of the passage, Bhattatiri, the devoted bhakta of Guruvayurappan, sat here, while composing the famous Narayaniyam, the great Sanskrit poetical work of 1036 slokas that sing the praise of the Lord. This entry was posted in Cochin, Kerala and tagged abad cochin, about cochin, Athirapally, cochin beach, cochin city, cochin images, cochin map, cochin photos, cochin state, cochin tourism, dream cochin, Guruvayur, Kochi, kochin, seo cochin. Bookmark the permalink.